With an official itinerary that was jam-packed with meetings, visits and official engagements, all within a two-day schedule, His Holiness, had a whirlwind visit through Dublin, which included the World Meeting of Families and Festival of Families at Croke Park on Saturday 25 August. Cathexis worked in partnership with Mongey Communications, a renowned supplier of security equipment such as CCTV IP Cameras, to provide a fully-integrated 24/7 surveillance management solution that would effectively manage the entire visit. The CathexisVision IP Video Management Software suite provided an around the clock CCTV surveillance solution, which supported three linked control rooms to ensure an immediate response to any situation of potential security threats. “We are exceptionally proud to have played a role in the Pope’s World Meeting of Families visit,” says Mark Ross, managing director of Cathexis Europe. “Cathexis is committed to providing the most efficient and effective, tailored video management software solutions, to provide maximum return on surveillance investment,” he added. 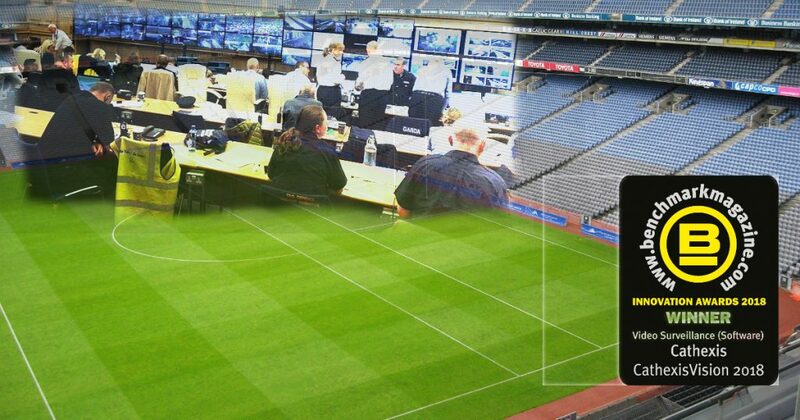 The Cathexis Europe Technical team worked alongside Mongey throughout the design, build up and operations over the weekend to ensure that CathexisVision was providing optimal performance, and to provide additional cameras and surveillance management to the police service of the Republic of Ireland (Gardai). Earlier in August 2018, CathexisVision gained global industry recognition when it took top honours for the Benchmark Innovation Awards 2018 when it was announced the overall winner in the Video Surveillance Software category. “We are delighted that we had the opportunity to play a part in the Pope’s historic visit to Ireland at the weekend, and are exceptionally honoured for the ongoing international recognition,” concluded Ross.